In this chapter, we’ll introduce you to the different campaigns, objectives and ad types you should use to promote your products and where they each fall in the customer journey. Again, think of this guide as maturity model. In this chapter, we’ll start you at the very beginning. By the end of this guide, expect to be effectively running profitable campaigns. If you haven’t done so already, your first step will be to go to business.facebook.com and create a free account. The Business Manager houses the other two. If you haven’t set up a Business Manager account, here’s how you do it. Click on the blue create account button in the upper right-hand corner. If you aren’t currently logged into Facebook, you will be asked to log in. If you don’t have a personal Facebook account, click on Create Account to get one. 2. Insert your business name in the appropriate field. 3. Add your name and business email address. Select Finish. Once you have created this account you will be able to set up your first Facebook ad campaign. There are two basic campaign types you will want to run for your ecommerce store. These tie into the campaign objectives below, and you’ll choose your objective based on the type of campaign you’re running. These campaigns are used to target prospective customers or people who have never heard of you before. Make more people aware of your brand and what you sell. If you’re doing a lead generation campaign (or if you’re driving traffic to a landing page where you collect email addresses), you’ll build your email list so you can follow up with these prospective clients outside of Facebook. Don’t just rely on Facebook likes, Messenger subscribers and Facebook ads to build your audience. Make sure you’re building your email list at the same time. That way if Facebook makes any major changes, you still have a customer base to promote your products to. Once you’ve built an audience on Facebook, gotten new customers, had people click on your ads and sent new visitors to your website, you can create a remarketing campaign using these audiences. These are all people who are aware of your brand and your products because you’ve introduced yourself during your prospecting campaigns and through email follow up (if you’ve been collecting email addresses). Your remarketing campaigns are where you’ll make your sales and build a loyal following of happy customers who will help sustain your business. They’re also a good way to create what many marketers refer to as “evangelists” or people who love your products and tell all their friends about your company, by offering special deals for loyal customers. Facebook breaks each of these stages into campaign objectives within the Ads Manager. When you choose an objective, it optimizes your campaign for a certain result or goal. It also determines how your ads are delivered to your audience. So you know, you can use any of the ad objectives at any point in these stages, depending on the goals for your campaign. This is when your clients are just learning about your brand and products. Your goal here is engagement with new audiences and making them aware of what you have to offer. These objectives are perfect for prospecting campaigns. 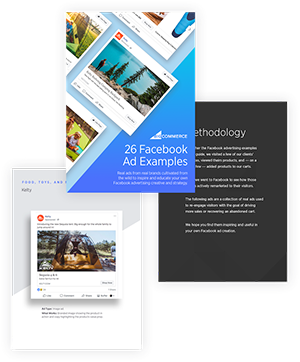 Brand Awareness: Facebook recommends using this ad type to “Increase awareness for your brand by reaching people who are more likely to be interested in it.” This ad type is specifically optimized for views by people in a certain niche or audience. Boosting Your Posts: If you’ve ever seen that little blue button underneath a post you’ve sent from your Facebook page, now you know what it’s for. Boosting a post can get more people to like and share that post, creating more engagement and expanding your reach. This is a paid service Facebook offers and you can target a certain audience, choose where the ad will be placed, choose your budget and schedule your ad. Facebook has 1.71 billion monthly active users as of June 30, 2016, and if you’re trying to reach globally, approximately 84.5% of our daily active users are outside the U.S. and Canada. Because promotional costs are so low, it makes sense to try boosting posts, creating ads and everything they have to offer and then checking in on the analytics. This stage is where people know about your business and are trying to decide whether they want to purchase from you or a competitor. This is an important stage, because it’s when you want to start building a relationship with your potential clients. Many marketers consider this to be the “lead generation” stage. They will often trade useful and relevant information, known as a lead magnet, for a potential client’s email address (at the least) in order to begin nurturing a relationship with the client. For those of you who don’t know what a lead magnet is, it’s that small something you give away to get the email address. Free trial of your software. A coupon for a discount on a certain product or service. Depending on your goals, you can use these objectives for both prospecting and remarketing campaigns. Traffic: This is exactly what it looks like. Traffic campaigns drive traffic to your website, landing page or ecommerce store. This is one of the most common ad types you’ll see on Facebook. App Installs: This campaign type is specific to software apps and only works on Mobile. So, if you’re selling an app, this is perfect for you. This objective encourages people to install your app on their phone or tablet. Plus, it tracks how many people install your app, as well as how many people register and log into the app. Example of a video ad promoted by Decibullz. Lead Generation: This campaign objective is set up to collect an email address directly on Facebook. You don’t have to send your prospective clients to a landing page or form to collect their email, just get it right then and there. However, you must have an effective follow-up sequence to make this work well for you. One of the best ways for an ecommerce business to use this campaign is to offer a coupon code. (We talked about lead generation and lead magnets at the top of this section.) Once a potential customer has opted in to your Lead Form Ad, you send them the coupon code. When you create your ad for this campaign objective, you’ll set up a form for potential customers to fill out. Post Engagement: This is ideal for smaller businesses that want to attract the attention of their target audience. You can use the post engagement objective when you want to get attention for a sale, promotion, or just increase awareness of your business using a particular post on your Facebook page, similar to boosting a post. Page Likes: This is geared literally toward getting people to like your business’s Facebook page. The benefit of this campaign type is that it’s relatively inexpensive and once you get more people to like your page, you can create an audience of these likes to use in later campaigns. Event Responses: This is a great campaign to run if you have a brick and mortar store and you want to promote an in-store event, or if you’re holding a special event (like a special sale) for your online store. You create a Facebook event, then get people to RSVP to the event. You can target specific demographics for your campaign. If you’re doing this for a brick and mortar store, you’ll want the demographics to include your location and surrounding areas. While Facebook can help sell product, it should be treated as a platform for building longer-term genuine engagement with customers. Don’t use the platform just to sell; use it to educate and engage too, as that will motivate customer loyalty, which is far more valuable than an incremental sale from a random Facebook ad. Messages: This is a newer feature, and while it’s very cool, it’s not necessarily the greatest idea for ecommerce stores. Your prospective customers have to respond to a Facebook message to be opted into your Messenger list, and not everyone will do it, or understand that they need to do it. If you want to use this as a customer service option, to ask how a customer’s purchase experience went, that may be the perfect use for ecommerce. You can also use it for promoting your blog or use it as an extension of your email campaigns. Facebook stalking your competition to preview their ad examples is time consuming. That’s why we did it for you. In this guide, you’ll get access to 26 different ecommerce Facebook Advertising examples across verticals. The Conversion stage is where you specifically want to get a customer to take an action. Conversions: This may seem obvious, but these ads are optimized for conversions. You will need theFacebook pixel on your website or ecommerce store to make sure Facebook can track your sales. Catalog Sales: These ads are perfect for ecommerce, as they let you sell your items from your catalog directly on your Facebook page. You can use the BigCommerceFacebook Shop to integrate directly with your page, then use catalog sales ads to promote your products. Store Visits: Perfect for brick and mortar stores that want to attract more foot traffic. You can target people nearby and offer them incentives to come into your store. Now that you understand the different types of customer awareness and how each type fits into a campaign objective, we’ll talk about campaign types. Facebook gives you 3 different ad formats. Single Image or Video Ad: These are the most common Facebook ads that you’ll see. A single image or video that captures your attention with its imagery and includes a headline and description. These are very useful for promoting a special on a particular item. As mentioned above, Facebook tracks how long you watch a video, which means you can use that information when you create a retargeting audience. Example of a single image ad from Pardot. Example of a single video ad from de Boulle Diamond & Jewelry. Carousel: A carousel ad (slideshow ad) lets you show up to 10 different images or videos, each with its own headline, description and URL. Viewers can scroll through each frame to see the different content you provide. This is a great format if you want to display individual items and send potential customers to specific product pages. Select up to 10 images or videos for your carousel. Carousel ads are a home run, particularly for ecommerce brands that have strong visual assets. If you do try them, it is well worth trying both conventional image and video carousels. Collection: This is a new ad format that is Mobile only. It’s designed to make it easier for people to view and purchase your products and services from their mobile device. Potential customers can browse your collection without leaving the Facebook app. How the collection full-screen experience displays to your potential customers on mobile. As with all things in your business, you’ll want to test which objectives and ad types work well for your products. And don’t forget about the importance of your Facebook cover photo and profile picture when driving visitors to your page. You’ll want to develop an ad strategy that makes sense for your business so you get the best ROI from your efforts. (More on Facebook ad strategies in Chapter 2). Now that you know the basics of Facebook ad campaigns, you’re ready to use Facebook’s phenomenal targeting system to target the audiences you want to drive to your ecommerce store. Tanya Brody is the Content Marketing Manager for FunnelDash, a Facebook Advertising Optimization Agency. Beyond her work at FunnelDash, Brody is a marketing and optimization consultant for technology companies as well as ecommerce businesses. 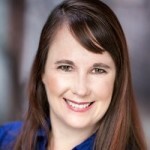 You can find her work and expertise on more than 100 marketing and optimization blogs and sites including LeadPages FindLaw, a division of Thomson Reuters and, of course, FunnelDash. Stop Facebook-stalking your competition. Start Researching.